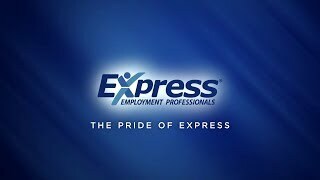 Express Employment Professionals of Holland Muskegon, MI is a leading staffing provider helping job seekers find work with a wide variety of local businesses. Express Holland-Muskegon is the area’s premier staffing firm. Whether you’re a job seeker looking for work or a local business looking for workers, the team at Express Holland-Muskegon can help. Our staffing experts excel at matching hard-working professionals in the skilled trades, engineering, and office management with our area’s top employers, finding roles for workers where their skills, their experience, and their personalities make them a perfect fit. With a service area that extends throughout West Michigan, including Muskegon, Grand Haven, Hudsonville, Allendale and the lakeshore, we are proud to be a leading choice for staffing solutions throughout the Holland and Muskegon area. Professionals in Holland and Muskegon looking to jumpstart their search for employment can rely on the team at Express Holland- Muskegon. Our staffing experts take the stress out of your job search, networking on your behalf to find you a position that fits your skills and your goals. Getting started with our staffing firm is simple for Holland and Muskegon area workers. Simply apply online or in-person to get started, and a member of our team will review your application and resume. We’ll invite you to a one-on-one interview where we get to know your goals and expectations. We take that information and match your skills with open positions where we think you’d make a great fit. Our staffing firm strives to place Holland-Muskegon area workers in positions where their skills, personality, and experience will allow them to thrive. Placements through Express Holland and Muskegon include part-time and full-time positions, opportunities in a wide array of professional roles including the skilled trades, and a full range of scheduling options. We specialize in long term, permanent employment solutions for our clients in the Holland and Muskegon areas. Get started with our staffing firm today by exploring our job listings for the Holland, Muskegon and lakeshore area and applying online. Or simply give us a call at (616) 499-2199 to set up an in-person application. Express Holland-Muskegon offers your business everything it needs for time-sensitive, cost-effective staffing. Our staffing systems, professional expertise, and deep pool of candidates allow our team to find the right person for the job in less time and for less money than you would typically spend on in-house hiring. Our staffing firm’s services for employers cover workforce solutions and professional staffing. Under our workforce solutions, you will be able to easily fill both administrative and commercial roles, helping your office, warehouse, or production line continue smooth operations. Our professional staffing services help businesses fill high-level roles in areas like the skilled trades, engineering, finance, legal, accounting and human resources. All candidates are put through a rigorous recruitment process, including detailed interviews and background checks, ensuring we find the right person for your organization’s needs. Find out why Express Holland-Muskegon is the business community’s trusted staffing firm. Call us today at (616) 499-2199 to learn more about how we can help your business.